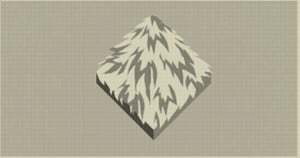 Beast Hide is an Crafting Material in Nier: Automata. Skin acquired from a wild beast. A total of 40 Beast Hides required for all upgrades. Noticed beast hide drops almost always if beast killed with laser. Otherwise meat dropped. At the "City Ruins: Near Factory" point. You will see half destroyed bridge in the corner. Under it, there are usually 1-3 boars. Get on boar and drive animal off the half broken bridge. If you manage to dispose of all animal life nearby the broken bridge, or you&apos;ll have too much corpses under the bridge, then go to the roof top of the building where you start the game. Then go down. All animals will respawn and all corpses under broken bridge will be discarded. Forest is best farming spot.